Welcome to Birchwood Learning’s E-Newsletter. I hope you have been enjoying the summer and have been able to get out and about exploring nature. Summer-time facts, folklore and stories are now uploaded to our website. Take a look here. Firecraft and Camp Cooking– developing skills in fire lighting methods, maintain fire lays, making pot hangers, using dutch ovens and trying some yummy recipes! Tarps and Twine – developing skills in knots and lashing, constructing rope structures (swings and low ropes courses), making cordage from natural materials, exploring shelter design using tarps and hammocks. 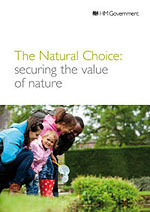 This recent Government White Paper outlines the importance of nature for people’s and communities health and wellbeing. It outlines the vision for the next 50 years improving the natural environment and encouraging people to access it. There is information specifically for schools on the website. Are you an Early Years or Key Stage 1 practitioner in Norfolk? If you are, did you know that you can take your class on FREE self guided visits to the amazing Houghton Estate (just off the A148 between Fakenham and King’s Lynn). The Estate has a fully equipped education centre and inspiring outdoor facilities including woodland, walled garden, parkland and internationally renowned land art installations. Find out more about the Educational opportunities here. A group of schools from the North East of England have created a set of resources (appropriate to Key Stage 3 and 4) that are now available on the Growing Schools website. The lesson plans and activity ideas are based around the themes of growing, woodland/bushcraft/trees and bees! For online access to these resources please visit the website. Lantra are continuing the funding stream for their women and work programme – designed to support more women into landbased careers. In the past some practitioners have been able to access this fund to support Forest School training. Sue Palmer (Author of Toxic Childhood and 21st Century Boys) and Sara Knight (Author of ‘Forest School and Outdoor Learning in the Early Years’ and ‘Forest School for All’) are the keynote speakers for this year’s National Forest School Conference. 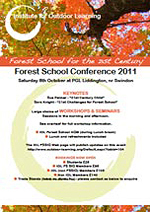 The Institute for Outdoor Learning Forest School Special Interest Group are facilitating this conference on Saturday 8th October in Swindon. The day will be packed full of hands-on workshops, inspirational speakers and key updates about National Forest School issues. Find out more and make your booking from the IOL website here. Don’t forget that you can now get all your Forest School kit and clothing direct from FSTC. Why not visit their online shop to get ready for the new school year. I’m pleased to let you know that Andy Forsyth will be in Norfolk running his fantastic two day First Aid for Forest School ITC training course. This 16 hour course covers essential first aid in the outdoors for 1 years to adults (please note that it does not cover infants) and is designed specifically for Forest School Leaders. It would also be very relevant for others working with groups in the outdoors such as field studies teachers, bushcraft instructors and teachers leading offsite visits etc. 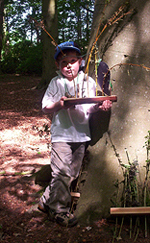 One of the UK’s leading bushcraft and woodland skills training providers, based in West Sussex. Develop your outdoor living skills and camp out in their beautiful woodland full of deer, dormice and badgers! 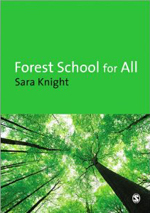 This book is a collection of chapters from Forest School practitioners, trainers and coordinators from across the UK. It explores Forest School in its widest context, with a particular focus on using Forest School for a specific purpose, or with a specific type of client group. 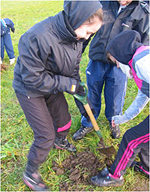 Don’t forget to check www.birchwoodlearning.com for forthcoming Forest School and nature based outdoor learning training.